Q. A brief background about your organization and the journey so far. We created Axtria because we saw both a tremendous opportunity and an unmet need in the market place. Data sources were exploding in volume and variety, and there had never been such an opportunity to optimize commercial decision making with data driven insights. 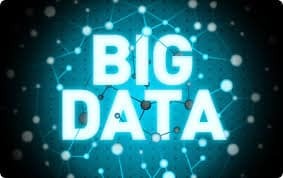 Everyone was talking about the buzz word Big Data, but very few were aware about what to do with it. Despite such opportunity, there was a real gap in the ability to deliver on the vision. The answer wasn’t a product or technology or something your traditional IT services or management consulting firms could deliver. It needed a different approach and a new combination of analytical people, process and data science technology, with deep domain experience, technical skills and most importantly an understanding of the industry data itself. We created Axtria in 2009 to address this unmet need in a new way. We chose to focus on Life Sciences and Financial Services industries and invested heavily in domain experience. We strived for success by adding value to our customers. We delivered a specialized approach to deal with raw data. We also saw a tremendous opportunity with the cloud. As the industry moved at pace and data sources continued to grow, it would provide a platform of agility, flexibility and scalability. Our journey has been very exciting and we have not looked back since. Driving a culture obsessed with customer satisfaction, we continue to grow at pace. In just over 7 years, we now have more than 850 employees across North America, India and Europe. We have over 65 customers, including 8 out of the top 10 life science companies and 2 of the top 5 banks. 1. What are the key industry verticals that need data analytics and how does this technology help them? The impact of Big Data goes well beyond the tech sector. In fact, it can increasingly be felt in almost every industry, impacting primary touch-points across key business processes. The greatest impact is evident across verticals with the highest spend including financial services, telecommunications, manufacturing, pharmaceuticals and healthcare. This, by no means, takes away the strategic influence big data technologies have on other industries. To be more specific, in pharma sales, Big Data Analytics (BDA) supports end-to-end sales planning and operations. It also facilitates maximizing revenues through informed decision making across areas such as territory alignment, call planning and incentive compensation. It is time, organizations switch to agile solutions that streamline and accelerate data management &deployment without any constraints. In pharma marketing, it helps in cost optimization, promotion effectiveness, market analysis, forecasting, campaign management, digital marketing, ROI measurement, advanced reporting and visualization. Besides this, it improves decision making across planning & budgeting, marketing operations and cross channel campaign designing. At Axtria, we remain focused on our industry verticals and look to deliver the best possible customer experience and drive value from data analytics. We plan to develop new cloud products, expand the management team, hire aggressively, grow our sales force, penetrate other industry verticals and introduce new offerings. 2. Which are the business processes where data analytics plays a huge role in improving organizations efficiency and business returns? Organizations across domains are leveraging actionable insights delivered through analytics to better their efficiency and improve productivity. The dynamic nature of the market has pushed the growth and usage of analytics significantly. A data-driven and evidence-based business model facilitates organizations to understand its customers, empower its workforce, offer in-depth insights of operations, overview of demand, real-time tracking & alerts and improved performances. Analytics has found its way into industries such as retail, manufacturing, pharma and BFSI at a large scale. That said, various industries still lack the maturity to deploy data analytics for transforming the effectiveness of their businesses. Data analytics helps businesses with processes including sales planning, marketing, risk solutions and customer feedback. One such example is from the global Retail player Walmart, who spends millions on its real-time merchandising systems. Here they leverage algorithms to track demand, inventory levels & competitor activity and automatically respond to market changes in real time, allowing action to be taken based on insights in a matter of minutes. Big Data also plays a part in helping to determine when prices should be dropped – known as “mark down optimization”. There is no doubt that companies leveraging big data analytics are witnessing a positive transformation through innovation and improvements in operational effectiveness. At Axtria, our data analytics solutions have delivered significant commercial outcomes for our customers and have helped our clients reduce data processing & alignment cycle times, adopt call plans & lower call plan generation times, slash commercial operations costs and the time it takes to deliver insights. Large scale organizations are leveraging Big Data Analytics to benefit from actionable insights and are driving business decisions with confidence. However, the landscape is now changing for small and medium-sized enterprises (SMEs) as they are increasingly adopting big data analytics. A recent report by Research and Markets forecasts that the global big data market for SMEs will witness growth at a CAGR 43% until 2018. The report also highlights that SMEs will continue to invest in big data and business analytics, with nearly a quarter of worldwide big data and business analytics revenues coming from companies with fewer than 500 employees. Even the smaller industries are overwhelmed with new data sources and the ever increasing volumes of data are causing information overload. This factor is aggressively pushing SMEs to use big data technology to improve customer understanding, penetrate new markets and eliminate overhead expenses in real-time. Like any other large enterprise, SMEs are leveraging insights derived from big data analytics to make informed decisions. Statistics from Oxford Economics highlight the way SMEs plan their future investments. Figures suggest the share of SME’s in business management software would comprise 50%, 43% in data analytics and 34% in cloud computing. Considering today’s highly competitive and unpredictable environment, big data has indeed, added relevance to SMEs in a big way! 4. So how can cloud enhance big data analytics? Enterprises are struggling with the limitations of on-premise big data analytics. Big data is challenged by three characteristics of data – variety, volume and velocity. Datasets are no more confined to any type. Each day, about 2.5 trillion gigabytes of data is generated. Data changes are happening fast and analytics software should match the agility of rapidly changing data. Due to these limitations, the on-premise analytics market is believed to have suffered a decline of 1.4% last year. Maintaining the infrastructure of on-premise analytical tools also adds to ongoing costs. Cloud computing allows organizations to run their business from third party remote servers making cloud a perfect alternative to traditional and expensive on-premise analytical tools. The cloud offers an innovative, agile, efficient, economical, capable, scalable and secure platform for flexible analysis. One of the most important ways in which cloud computing can help to enhance big data analytics is through Software as a Service (SaaS). SaaS allows an organization to use the host’s infrastructure for analytics, which reduce the pressure to invest and maintain expensive on-premise computing infrastructure. The availability of software in the cloud allows computers to connect with software on-the-go. This in turn, provides mobility, freedom and access to mission critical information for taking business decisions anywhere, anytime. No doubt, information and data have become keys to competitive business advantage and cloud computing offers the right platform to tap into it.Cloud-based business analytics tools have recorded a growth of 26.5% over the last year, which underlines the significance in enhancing commercial insight. 5. 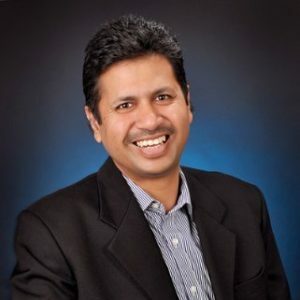 How is India fueling the data analytics engine for global customers? Over the past few years, India has cemented its position as an emerging hub for analytics solutions for customers globally. The big data analytics domain continues to see rapid growth, compounded by an increased demand for cloud based and predictive analytics solutions. Industries such as BFSI, retail, telecom and healthcare are harnessing the benefits of big data analytics. next five years. These facts and statistics clearly indicate that India has a crucial role to play in the future of big data analytics across the globe.